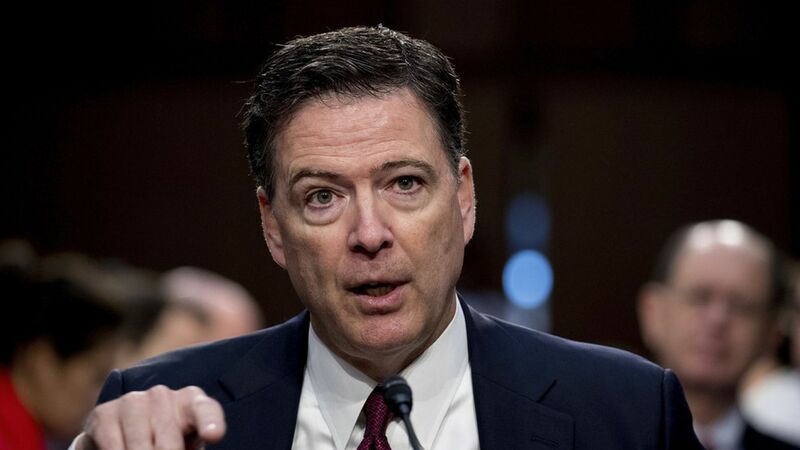 James Comey book title: "A Higher Loyalty: Truth, Lies, and Leadership"
Remember the time that fired FBI Director James Comey testified that during a private White House dinner, President Trump had told him: "I need loyalty, I expect loyalty"? Well, Axios can reveal that Comey refers mischievously to that conversation in the title of his book out May 1, "A Higher Loyalty: Truth, Lies, and Leadership." Why it matters: Comey kept notes and showed during his testimony that he has an eye and voice for vivid, novelistic detail. He was fired. And the multimillion-dollar book deal — brokered by Javelin, with Flatiron Books. Means, motive, opportunity. This should be good! P.S. If you can't wait until May for Comey's book, you can check out some of his short-form writing now. He's tweeting as @FormerBu — recent highlights include a trip to Iowa, reportedly for his father-in-law's birthday party.